It’s sad our country can kill millions of babies that will not put a Condemned criminal on death row. With their views, Planned Parenthood still remains a big issue. However, right now we are so glad that one important person stepped in, opened his mouth and said the whole truth behind Planned Parenthood! This week, a Pennsylvania branch of the abortion chain targeted young, idealistic girls with its abortion agenda. 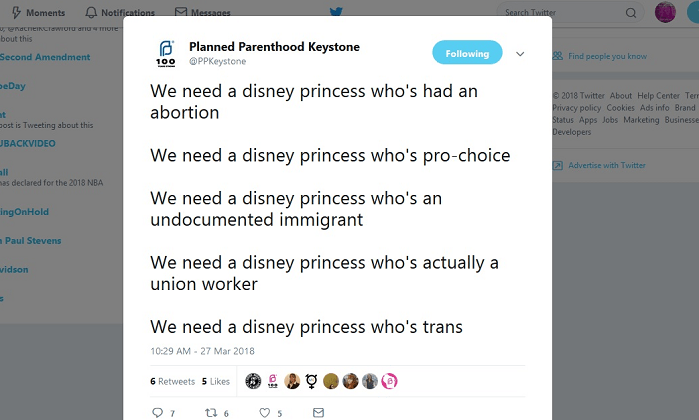 In the now-deleted tweet, the Keystone, Pennsylvania, affiliate of the organization also called for a transgender princess, a “pro-choice” princess, an illegal alien princess and a union worker princess. The grotesquely morbid tweet is a perfect example of how out of control this nation is spiraling in the name of representation and inclusion. A campaign to make Elsa from Frozen a lesbian in the film’s sequel has gained massive momentum online from social justice warriors that the films are not even made for. Disney’s animated movies are made for children, not adults — which should not even need to be said. This propaganda was so disturbing that even many “pro-choice” individuals left critical comments on the post. Within an hour, the abortion chain deleted it. LifeNews took a screen shot of the tweet before it was deleted. Though the tweet was so obviously egregious, it just put out in the open what Planned Parenthood has been doing for years – and using our tax dollars to do it. 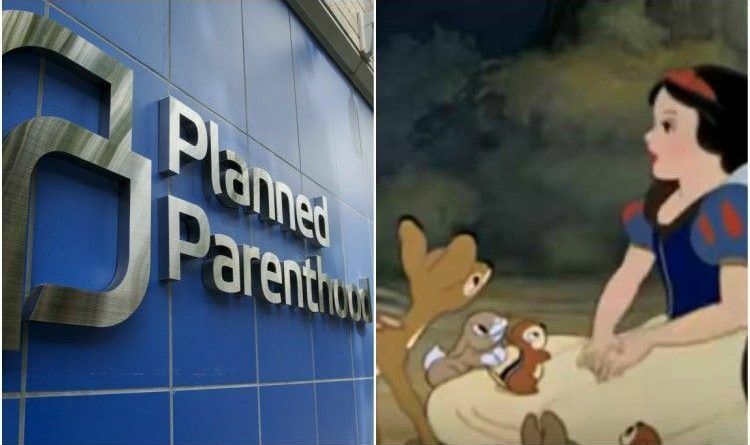 The Pennsylvania Family Institute, which first noticed the tweet, pointed out that the Pennsylvania abortion affiliate received $3.5 million tax dollars in 2016 alone to push its outrageous agenda on children and adults. Nationally, the abortion chain receives about $500 million annually in tax dollars.